Immortal Redneck was released on Switch 349d ago in the US and the UK. Notify me when Immortal Redneck is available. Based on 6 Immortal Redneck reviews, Immortal Redneck gets an average review score of 69. 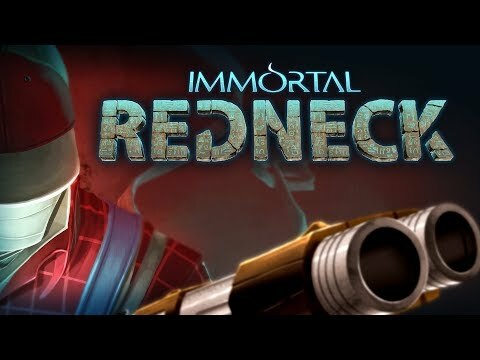 It may not immediately strike as a must-play title, but Immortal Redneck shouldn’t be overlooked. All in all, Immortal Redneck is a fun and challenging combination of old school first person shooter design and rogue-lite mechanics. Immortal Redneck is an exciting roguelike FPS with enjoyable procedurally generated dungeons that encourage fast-paced gunplay. Immortal Redneck is well-crafted with smooth and fast gunplay, a variety of playable characters, and an extensive upgrade tree.